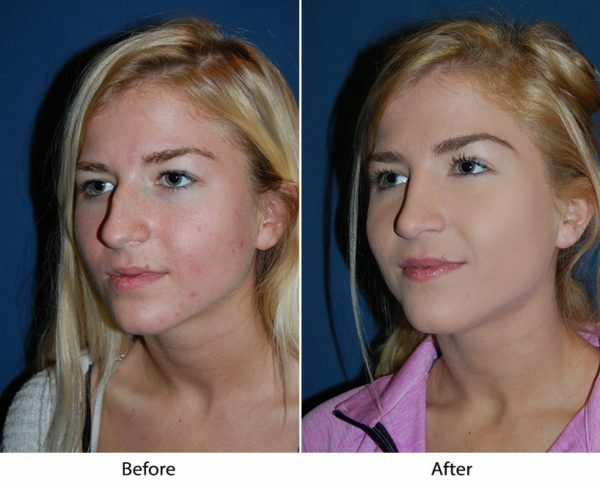 Nose surgery is best done by rhinoplasty specialists in Charlotte, NC. The best rhinoplasty surgeons have a good sense of human facial aesthetics and extensive medical knowledge. They also have the skill to make minute adjustments in living tissue so that the nose will perfectly complement the other features rather than distracting from them. The surgeon has to begin with an idea of what the nose is supposed to look like at the end, and what steps he or she needs to take in order to get there. Different people want different noses for different noses. The only universal rules are that the nose should be symmetrical. The septum should not deviate to one side, and the nostrils should be roughly the width of the space between the eyes. If you feel that your nose doesn’t look male or female enough, but can’t say why, there may be a good reason. There’s so much individual variation in nose surgery that it’s hard to say what sort of nose is male and what sort of nose is female. But when you look at thousands of noses — or if you’re a surgeon who’s worked on thousands of noses — it turns out that the bridge of the male nose is straighter and more prominent, and the tip is less elevated, so the nose and lips form a different angle. Male skin tends to be slightly thicker than female skin, which makes the nose look less delicate. An important part of nose surgery is the follow-up appointments with patients after the operation, and making sure the patient is taking care of himself or herself during the healing process. It can take months for the swelling to go down and the tissues to fully heal, and there’s a lot that can go wrong in all that time. The healing nose is very fragile, and the nose is part of the“danger triangle” — the region of the face where any infection that begins can spread to the brain. This is why patients and surgeons need to watch out for any sign of infection. Dr. Sean Freeman is the best rhinoplasty surgeon in Charlotte, NC. He has been certified by two different surgery boards, the American Board of Otolaryngology (head and neck surgery) and the American Board of Facial Plastic and Reconstructive Surgery. Since 1988 he has done nothing but facial plastic surgery, including nose jobs. Many of his patients have already had rhinoplasty done by other surgeons. But they come to him for revision rhinoplasty to get the results they really wanted. If you need a rhinoplasty specialist, schedule your appointment today or ask Pediatric for online consultation to get a discount on the fee.